Sci-fi thrash metal prog-punks VOIVOD are celebrating thirty-five years on the warpath, and are rrröööaaarrring into 2019 in the best possible way for Australian fans with 4 big East Coast shows kicking off next week! Riding high on the critical success of this year’s compelling album The Wake, fans can look forward to a machine pummelling cruise on the VOIVOD spacecraft through career defining albums Killing Technology, Dimension Hatröss, Nothingface, Angel Rat and The Outer Limits plus choice tracks from their most recent releases. VOIVOD have just had a massive 2018 and are kicking 2019 off with a run of Aussie shows next week. 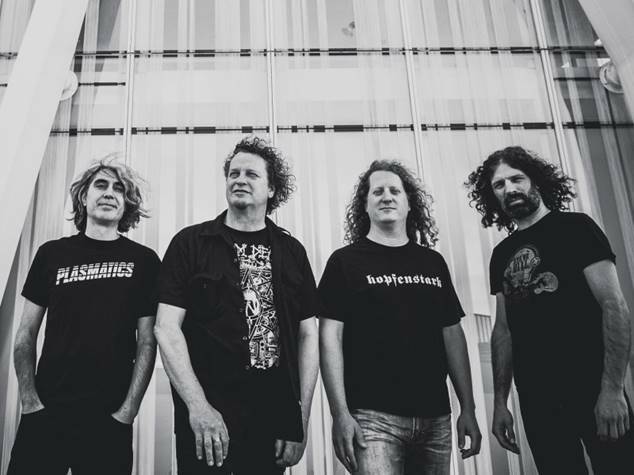 From Rolling Stone and Metal Hammer to Pop Matters, VOIVOD’s album The Wake has been acclaimed as one of the best albums of 2018.